I am also including the last Saturday and Sunday of 2019 with the first week of 2019 (YAY!) on this Weekly Joys post. The last weekend of 2018 brought me so many joyful memories worth remembering. First of all, have been getting a lot of "me time" lately. Mr Sweetie has been working these past two weekends. So far, being alone on Saturdays gives me plenty of personal space that I guiltily fantasize about in my most tired state. 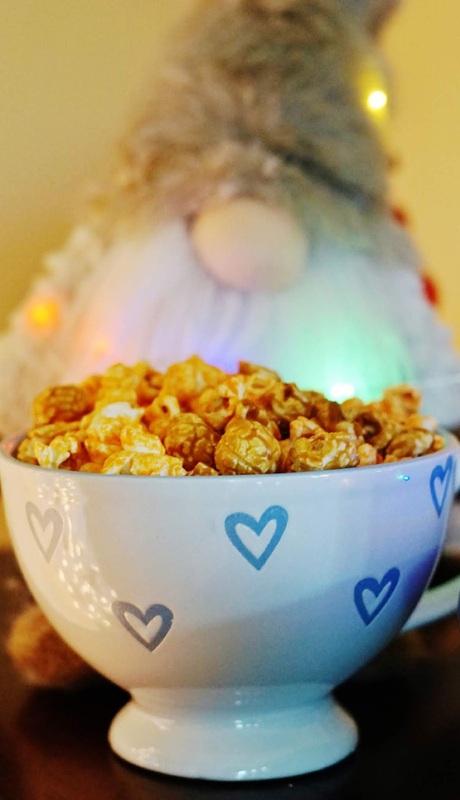 I have been choosing to have a cozy time at home Netflixing, writing blog posts and snacking on the big bag of Cornology cheese and caramel popcorn that Mr Sweetie got me. This Saturday, I spent the day watching another Netflix movie "Christmas Inheritance." I was giddy with being able to binge-watch this holiday season. This is such a luxury as I never often get the time! 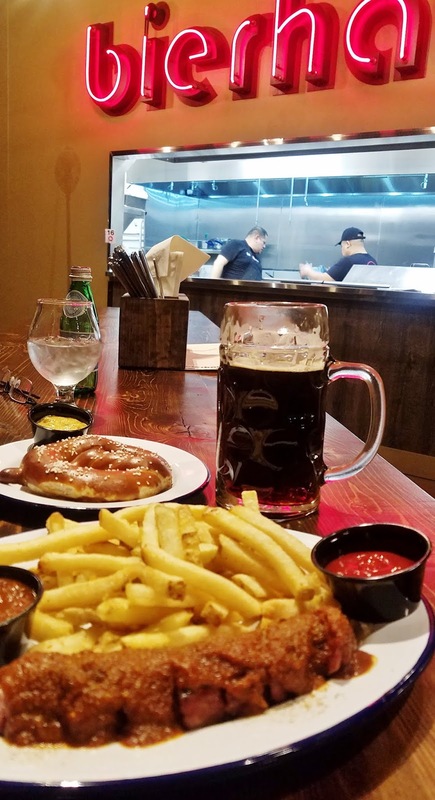 When he got home we went to Bierhaus, the new German pub in the hood for date night. We had yummy German fare and beer. I love this place and my new fave spot to dine and chill! I went to church on the last Sunday of 2018. It was a good feeling to end the year worshipping with my family. I did a detour to TJ Maxx after church and before going to my family 's house for lunch. I spent a couple of hours at TJ Maxx looking for holiday sales but they were still at 50 percent. I am waiting for the 75 percent mark off which I know will happen eventually. In the end I had some good purchases -- a set of Philosophy lotion and bath gel ($8.99), mint soap ($1.50), wine tote bag ($3) and a liquid hand soap ($7.99 -- a little splurge). I am a pretty savy shopper and I only buy what I need. After shopping I had a delicious lunch and lovely time at my brother and SIL's house. 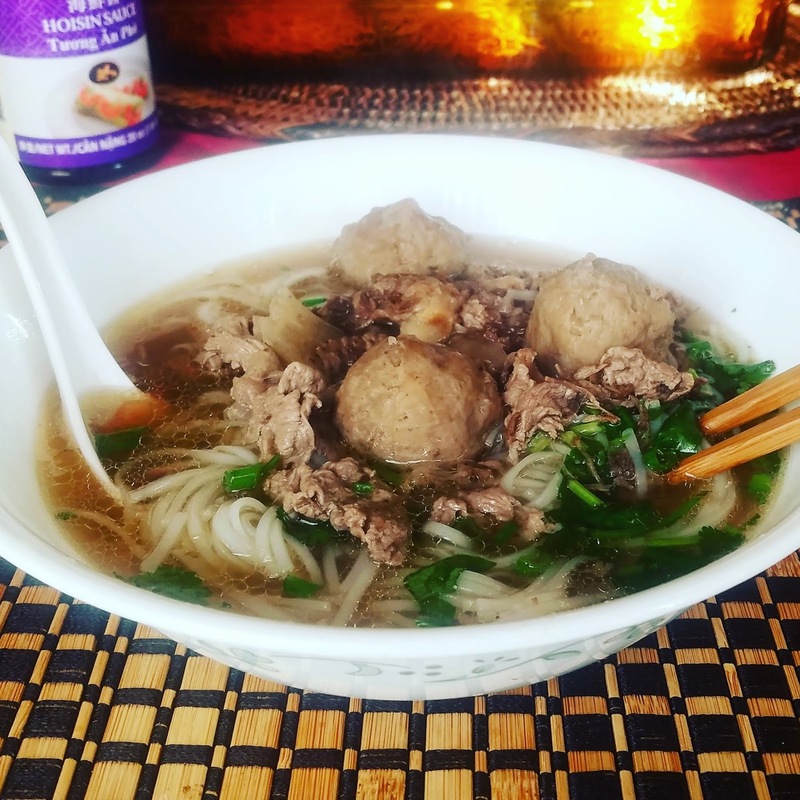 She made Vietnamese noodle soup which I devoured. In the end, they even packed a bag of dried persimmon that my brother dehydrated himself, a bag of apples from their own tree, 8 fresh eggs from their chicken and macaroni salad! I am so blessed! It was a fun NYE with BFF. We met up to go to One Dome in San Francisco to see the Unreal Garden. 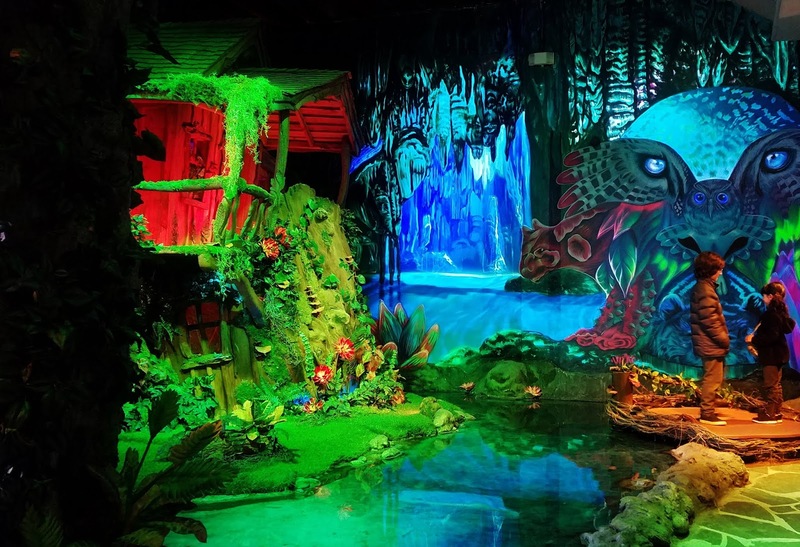 It is an interactive experience with visual arts and a very unique one! Seeing BFF and having this nice memory was such a special way to end 2018. And of course, she had some goodies for me! This girl spoils me! It was a very low-key NYE. Despite our friends' invitation to have dinner and attend a concert, we decided to have a quiet NYE. I went to work while Mr Sweetie took the day off. 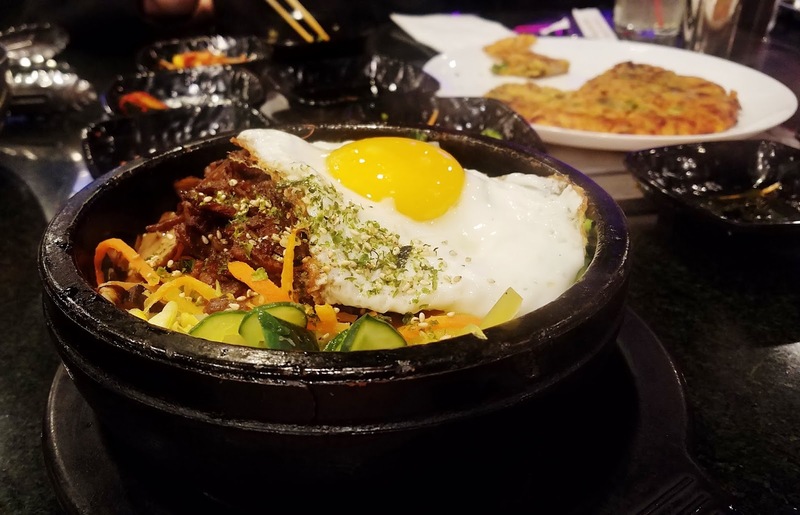 We walked to a Korean restaurant in our neighborhood and had our NYE dinner. By 9:30 pm that evening, we were passed out! Ha! Ha! At midnight, we woke up to the faint sound of the fireworks coming from San Francisco. We wished each other Happy new Year and fell back asleep. Ha! Ha! This was the roasted cornish hen and veggies that I cooked. It does not look good but it was perfect! I have to cook this again and will post the recipe. It was a cozy day of Twilight Zone marathon. In the evening, we lit the fireplace and had cornish hen and roasted veggies for dinner. It was perfect and very nice! I took the day off for a quiet contemplation. I wrote my 2019 Hopes, Dreams and Wishes and reflected on the past year as well as made plans for the new year. I decided to take the day off following the new year every year for a personal retreat. It was a very productive day for me. Mr Sweetie being at work afforded me this moment. It was an uneventful day at work but also a very cold day for us. It was in the 30s. The night before, Mr Sweetie was freezing! We wore socks to bed which we usually do not. I put an extra thick blanket on top of our comforter and quilt, and ended up turning on the central heat. We do not sleep with the heater on because the house gets too heated but we had to this evening. 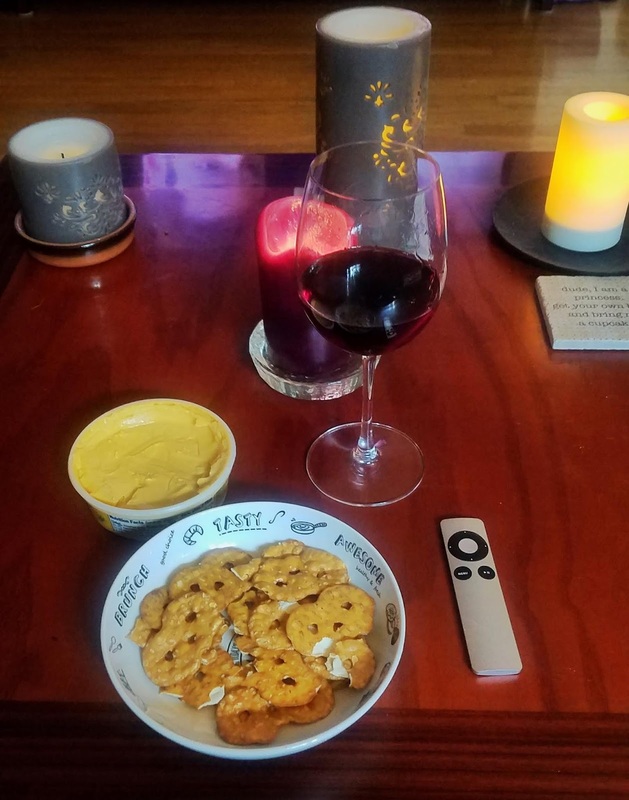 I did my usual Friday TJ run and picked up a bottle of wine (forgettable) and cashew vegan dip that was touted as an alternative to cheesy dip. I liked the vegan Jalapeno Lime so much better! I noshed on this while Netflixing. The poor guy was so tired that I told him that he could pass on date night this Saturday. 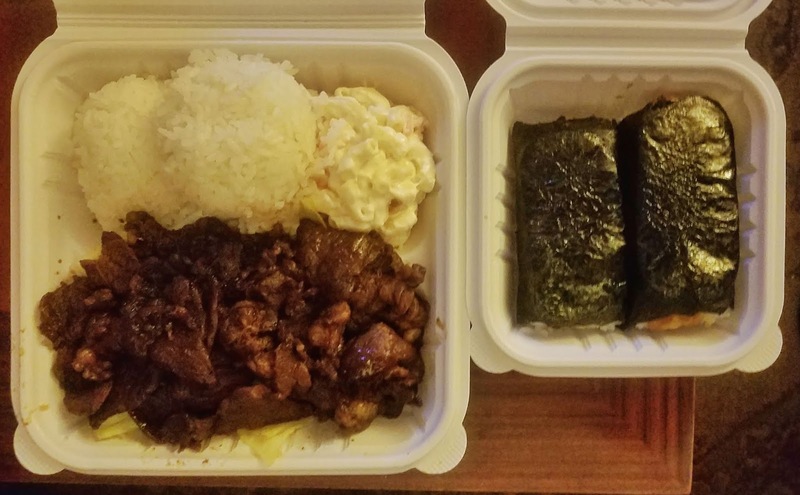 He brought me Hawaiian BBQ instead and we ate it while doing more Twilight Zone marathon. I feel good that I spent the first Sunday of 2019 at church and with my family. It was storming really hard. I went to my family's house and we all cooked pansit (Filipino noodles) together -- me, my brother and SIL. Our aunt's bf was visiting as well. I got to see and play with my nephews Matthew, Gabriel and baby Jacob who also.stopped by. I went home with a big plate of pansit. It was so good that I did not get to take a picture! I just devoured it! The last week of 2018 and first week of 2019 were great. Looking forward to more friendships, family togetherness and me time this new year! How has your first week of 2019 been so far?